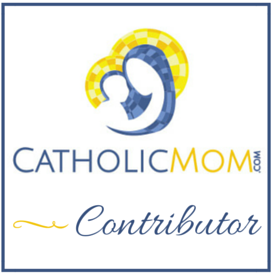 Welcome to Small Success Thursday, hosted by CatholicMom.com! This is our time to take a step back from the hectic pace of life and look around at the stuff you’ve done well this week. Be sure to check out all the Small Success posts this week, and let us know what you’ve got to crow about! While a lot of people are finishing up school this week (including most of my homeschooling friends), we’re not really there. But we’re making quick progress the last couple of weeks and knocking out assignments left and right. I’m preparing to help my 15 year old get her research done for a persuasive paper, which is going to require internet research, for the most part. Her topic? Bias against the Catholic Church in the media. She’s narrowed it to 3 particular topics within this broad category. Should be interesting. Last week, I had a ton of little things to get done: personal property taxes on our two current cars, plus what was due on the Alero for the time we owned it; depositing money in the bank from the sale of said Alero; getting my car inspected; grocery shopping; clothes shopping (why does my 12 year old insist on growing at such a rapid rate!?) … I took a look at the things I had to do, planned a day out doing them, organized a route, and GOT THE LIST DONE! WOOT! Oh, yeah—and we brought schoolwork and did some good things on that, too. 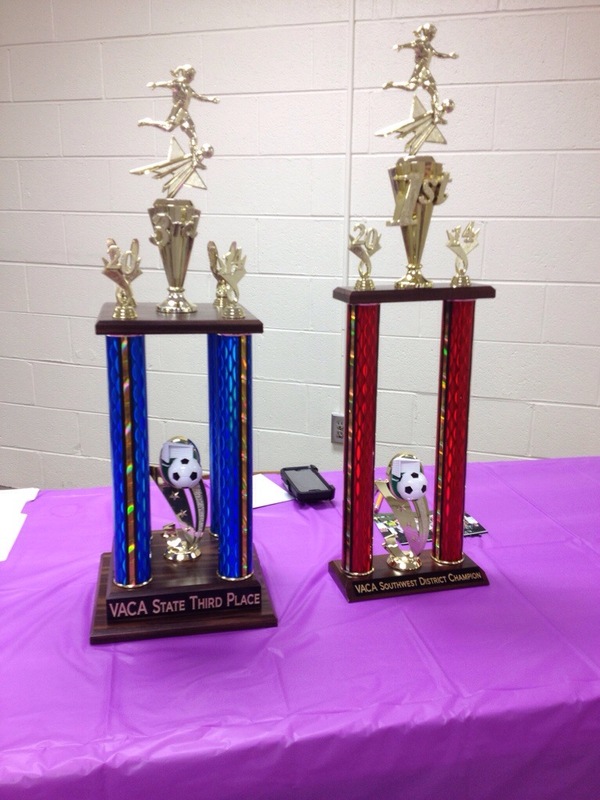 Finally, I went to my daughter’s soccer banquet last Thursday and survived! I know that doesn’t sound like much, but Nathan was out of town, and going to a big social event like that with something like 25-30 families is not my cup of tea, especially if I can’t have my security blanket husband with me. But I went, I was somewhat sociable, and I didn’t bug out as soon as the awards were finished (even though it was past 10:30 PM when we finally got done)! 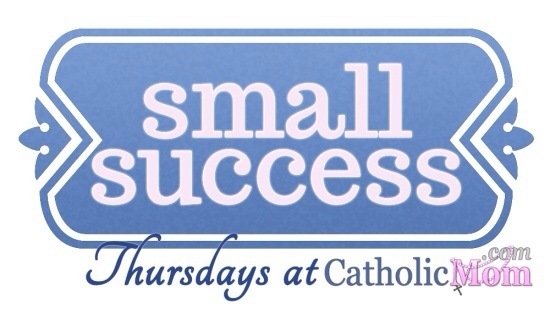 Small Success Thursday: Mass and Angels and Homeschool – Oh My! Small Success Thursday: Research, Writing, Green Braces, and OP3! It’s our first week out of school, and I’m on a girls’ beach trip with just my mother and daughters. In addition to laughing a lot, I have finished two books that I started months ago – the first Harry Potter (I’m embarrasse to admit I’d never read it) and a fascinating book about the assasination of James Garfield. I’ve also read two other books – both YA. I’m on my 5th book with two days left at the beach. Other than that, I’ve gotten NOTHING done. It has been fabulous. Sounds like a great week! Relaxation is definitely success in my book! What a great week! Look forward to seeing what happens by next Thursday! Blessings. I hear you on the banquet thing! In the past week I have attended the “Triple A Banquet” for my daughter’s school, the Baccalaureate Mass, the track team banquet, graduation AND college orientation. All in one week. It’s a hobbit’s nightmare. I’m grateful it’s OVER!! That’s an awful lot!! Glad you made it through! !